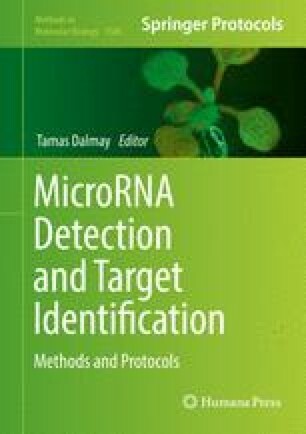 Quantification of circulating microRNAs (miRNAs) is of great interest because of their potentials as disease biomarkers. Currently, quantitative reverse transcription polymerase chain reaction (qRT-PCR) and microarray are considered mainstream techniques for miRNA identification and quantitation. However, these techniques are challenged by the low levels and wide dynamic range (from aM to nM) of miRNAs in a physiological sample, as well as the difficulty in the implementation in point-of-care settings. Here, we describe a one-step label-free electrochemical sensing technique by assembling a triple-stem DNA-redox probe structure on a gold microelectrode and introducing a reductant, tris(2-carboxyethyl) phosphine hydrochloride (TCEP) in the detection buffer solution to achieve ultrasensitive miRNAs detection with a detection limit of 0.1 fM. This work was supported by grants from the Department of Veterans Affairs (Merit Award: BX002526 to D.M.) and the National Institute of Health of Diabetes and Digestive and Kidney by the Grants RO1-DK-071594 and RO1-DK-064711 (to D.M. ).